My husband picked up a few grocery items for me the other day. He spotted the box of Gluten Free Bisquick and could not resist bringing it home. He knows how much I love pancakes and thought that this might be a nice treat for me. It was an awesome surprise indeed! I simply made the pancake recipe from the back of the box using unsweetened almond milk instead of the regular milk. I also added about 1/2 cup of sugar and 1 tsp of vanilla to a double batch. These pancakes were so light and fluffy - Just like I remember pancakes being before going gluten free. We also had a few extra pancakes leftover from our Saturday brunch. The leftover pancakes also warmed up perfectly! I imagine that they would freeze well for a quick breakfast also. Good find! 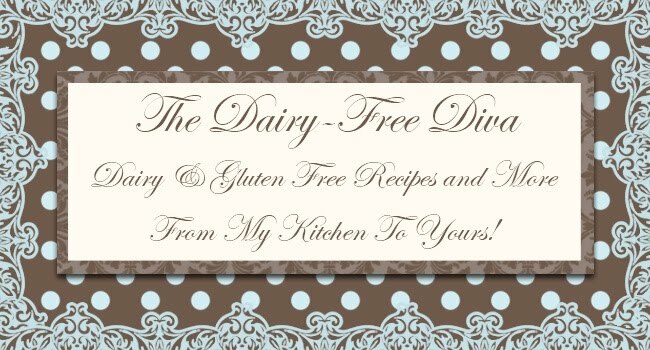 I've recommended your blog to Small Town Mommy--She is new to this gluten free thing and needed some ideas. I'm definitely going to tell her about this find!!! Wow that's love! I just bought a big box of bisquick. Makes baking so easy. Am intending on experimenting with oat muffins tonight. I see Lin mentioned that she was going to let me know about this (and she did). 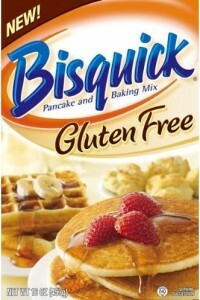 I have heard mixed things about the Bisquick. I am glad to hear that you liked it. I may give it a try. I do like the Maple Grove Farms gluten-free pancake mix but it is a little hard to find. We have one grocery store in the area that carries it (not the store I use). I never make pancakes from a mix. I don't like the tastes! I prefer making pancakes from scratch,...!!! I must that info along to my brothers who both from time to time follow a gluten free diet. Thanks for the visit, I've been very concerned about you, but didn't know you blogged here now rather than there. Looking around I don't see that you have a blog log on this blog? Was gonna add this link to my page. This one looks pretty knew, maybe you've just not yet added it? just found your blog and think I will follow along your welcome to follow me too.. It's pretty great stuff, isn't it? I made the dumplings recipe for chicken and dumplings and it came out perfectly!